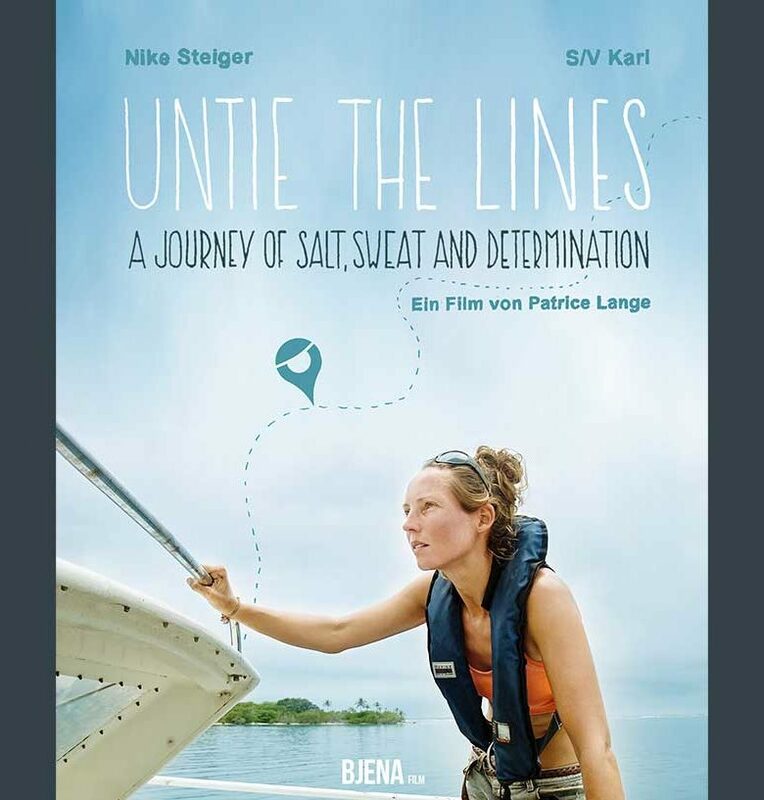 Untie The Lines is made from the material of our weekly YouTube documentary in which we have been portraying the ups and downs of my dream to live on a sailboat and to travel the world by sea during the last five years. In my early thirties, I was working as a marketing manager in Hamburg, when I decided to quit my job and let go of the comforts of home. I reduced my belongings to the essentials, packed my bags and bought an old sailboat in Panama. Even though I had very little sailing experience, I dreamt to set sails with my boat that I called “Karl” – all by myself. The ones of you that recall the beginning of my journey with Karl will remember, that the casting off was a big challenge: The condition of the boat was a lot worse than expected, the engine failed continuously and the hull was damaged from corrosion. Quickly, two months of planned repairs turned into twelve. I started to doubt my own abilities and began to wonder if I made a big mistake in buying such a work-intensive boat. But I did not give up and finally made my dream come true – I untied the lines. What followed was an adventure of circumnavigating the Western Caribbean, a roller coaster ride through tears and utter bliss. Again and again, I had to leave my comfort zone. 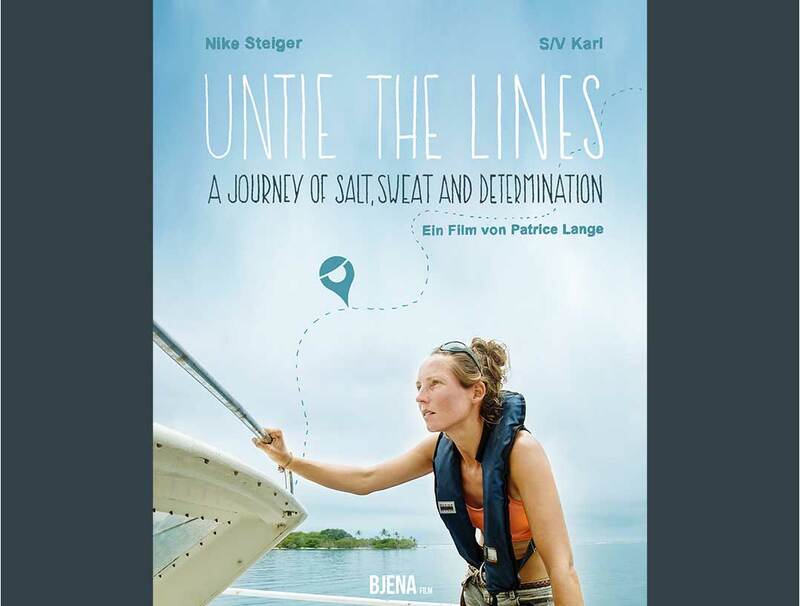 Throughout the movie, you can see me sweating through 2.000 hours of refitting my new floating home and sailing more than 4.000 nautical miles, forming a beautiful unity with my boat “Karl”. You will witness how I try to develop from a landlubber to a salty sailing woman, by adapting my needs and skills to the rules of the ocean. For nearly five years, I have documented my endeavors on camera. More than 50.000 followers worldwide have joined me in this epic journey on YouTube. Those hours of self-made video material – plus interviews with my friends and family, back ground information, unseen material and beutifully animated charts – have now been made into a full-length movie by Patrice and his team. The aim was, to create a movie that would fill in missing gaps that had not been targeted by the YouTube episodes and to give a different perspective of the adventure by adding comments from friends and family. Plus, the look and feel of the movie are way beyond the weekly episodes due to professional color grading and audio fine tuning. From the early feedback we have gotten so far, it seems that Patrice and his team succeeded in this task! Well done, my friends!!! You can order the English version here. The German version can be pre-ordered here and will be released on the 16th of February 2018. I hope, that Untie The Lines will inspire you to cast off on our own journey, to make our own dreams come true. The movie has been completely privately funded. If you happen to know anyone, that works at a magazine (online or print) or runs a Blog / Vlog and for whom this topic could be interesting, then it would be an awesome help if you could let them know about the movie release. If you have watched the movie and have enjoyed it, then rating it on Facebook would also help tremendously. A massive thanks to Patrice and his team for making this movie and to all of you who have been sharing this adventure with me during the last years. I hope there will be much more ahead!